We put packing tape overtop of the chart so it can be used again and again. 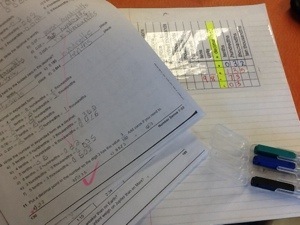 Here we answered #11 on the worksheet with the notebook’s help. 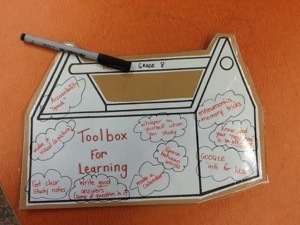 Posted in Math and tagged interactive notebook, Math. Bookmark the permalink. Helping a teen edit a paper – besides grammar, punctuation and spelling, look to make sure they stay in the same tense (if it is in past tense, it has to all be in past tense) and that it is all written in the same person (if it is in third person, it should stay in third person, not switch to first person.) Thankfully my son was open to some constructive criticism. Posted in writing and tagged editing, papers, Writing. Bookmark the permalink. 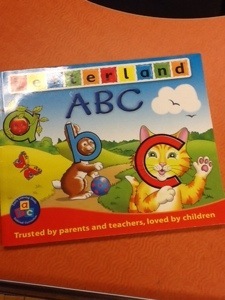 I purchased the Letterland program some time ago and never really had a chance to dive into it. This year I am trying it with some kindergarten students that need review of the letters. I am really enjoying it! Each letter becomes a character. Like “b” is Bouncy Ben and “c” is Clever Cat. There is a story book introducing the letters – we read one page each day. I have playing cards, magnets, dice I made, and now flash cards I made. We play “Go Fish”, memory, read the words on a game board (game board made by me to fit the cards), put-the-magnets-in-order, the list goes on…It has been such a blessing to watch these students learn the sounds and put them together! I would recommend this for parents that want to review with their children! 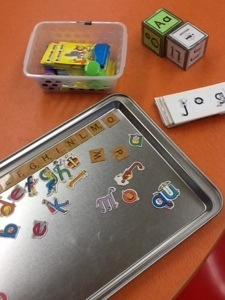 Posted in Early Intervention, Reading and tagged blending, letter sounds. Bookmark the permalink.